A celebration in honor of Absalom Jones (1746 – 1818), first African-American priest in the Episcopal Church, will be held on Sunday, Feb. 24, 3 – 5 p.m. at St. Philip’s Church, 2800 Stanford Avenue, Los Angeles 90011. 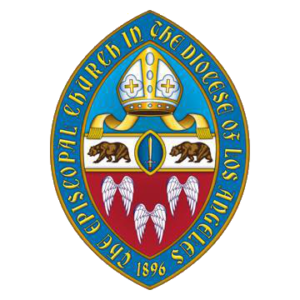 The H. Belfield Hannibal Chapter of the Union of Black Episcopalians and the Diocese of Los Angeles are sponsors of the event, which will include Eucharist celebrated by Bishop Suffragan Diane Jardine Bruce; The Rev. Ronald Byrd, missioner for Black Ministries on the staff of Presiding Bishop Michael Curry, will be the preacher. African-American seminarians of the diocese — Andrea Arsene, Shawn Evelyn, the Rev. Guy Leemhuis and Dominique Piper — will be recognized. A reception will follow. Come early for lunch and to join others in playing an Absalom Jones board game. All are invited. 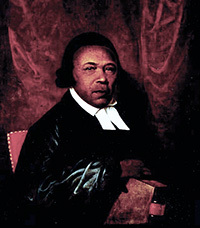 Absalom Jones, the first African American priest in the Episcopal Church, gained his freedom in the post-Revolutionary War era and eventually overcame various barriers to be ordained a deacon, then a priest. Jones co-founded Philadelphia’s Free African Society, one of the first large free Black communities in the United States. In 1794 he established St. Thomas’ African Episcopal Church, the first Black church in Philadelphia. The Episcopal Church remembers him each year on Feb. 13, the date of his death in 1818.